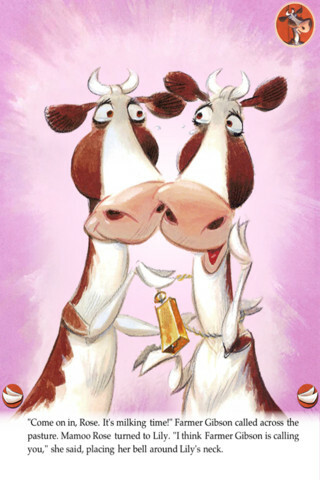 Based on the award-winning book by Marsha Diane Arnold, Prancing, Dancing Lily tells the story of a festive young milking cow that doesn’t quite fit the herd. Brought to the digital world by Fat Red Couch, this heartwarming tale features whimsical illustrations, expressive characters and unique narration that readers of all ages will appreciate. 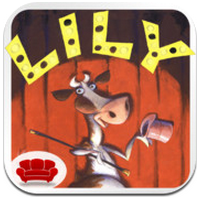 Lily, the leading lady, comes from a long line of responsible cow-bellers; yet she herself is clumsy, inattentive and always dancing around the field at the wrong times. Once she realizes she’s different from her peers, Lily embarks on an adventure, traveling the world in search of the perfect dance. Thanks to her spunky nature, she has the opportunity to grace Radio City Music Hall as a Rockette, learns to tap dance on a cruise ship, and pirouettes on stage as a ballerina in Russia. Through her adventures, Lily learns an important lesson on self acceptance, and returns home to share her exciting new dances with the friends on the farm. Can Lily sway her herd and become an accepted member? Download Prancing, Dancing Lily for $1.99 from App Store, Google Play, or the Amazon Appstore and find out! Brickout Zero Gravity removes the shackles of Breakout and turns you loose in a challenging arcade game where physics are king. Keep a ricocheting ball in play by moving a paddle on one side of the screen while targeting and smashing bricks on the other. Clear the board to progress to the next level and earn power-ups to give you an edge. 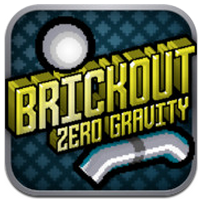 Check out Brickout Zero Gravity for $1.99 from the App Store. WOW. Two weeks ago Walter calls Jon a spaghetti coder, now you are awarding the lead developer at Fat Red Couch (see http://fatredcouch.com/page.php?t=company#bio) app of the week? That’s wonderful! I hope he also got an apology. Sheeeesh, damned if you do, damned if you don’t! Why should there be an apology? Have you seen the code? I think its a fair description! I’m not sure why you feel the need to stir the pot. You read into it wrong the first time and you’re reading wrong into it again this time. 1) Walter didn’t call anyone a spaghetti coder. 2) if anything, doesn’t this show that we are completely impartial to who wins Apps of the Week. It’s a great app, that’s all that matters. What can i say? BRAVOOOOO!!!! Fun story. I don’t have the app, but the story is a good one. I for one am a HUGE spaghetti coder myself. congrats on the cow app. just watched it. totally cute.